« The Most Important Work You Can Do. Why You Can’t Control Other People. Today we ask that you release your need to control other people in order to feel safe. People waste a lot of energy trying to control what others think, say, and do. They do this often because they feel threatened by what others think, say, and do. Tyrannical dictators are so threatened that they might have countless people imprisoned or killed, all to control the actions of others. But needing to be “in control” is a fool’s game. Control is always fleeting. No one stays “in control.” Control is always lost, sooner or later. This is the fundamental truth of your reality. You really are not in control of anything, and attempts at control are doomed to failure. Trying to control other people is crazy. 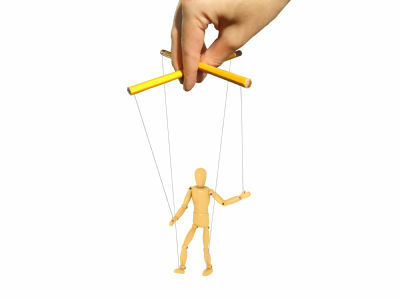 Yes, some people are expert manipulators, it is true. The world is full of little tyrants and con artists who are skilled at human manipulation. Advertising experts work to influence human thought, programming people to want to buy things they don’t need. Pundits try to influence public opinion. But really this is all a great waste of energy. People worry about what others think, and try to manipulate and influence. This is a great waste of energy. Parents try to control their children. The best form of parenting is to be a good role model for your children. Trying to control a child’s thoughts is a losing game. The desire to control does not come out of love, even if you believe it does. The desire to control comes out of seeing others as a threat, or as a resource to be exploited. That is what the desire to control is. Love does not enter the equation. Controlling other people will never make you feel safe. In fact, it only increases the sense of threat in the long run. No matter how smart you may be, no matter how expert a manipulator, you can never control all the variables. Something will always erode your control. Trying to control other people and reality is like trying to hold back a flood with a leaky dam. You will always be plugging up one hole or another. It is an exhausting way of life, doomed to fail in the end. Release the need to control other people. What other people do, say, and think is none of your business. Let them be. If someone’s words or actions directly impact you, then you are presented with a simple choice. 1. You can say “yes,” agree, and go along. 2. You can say “no,” disagree, and refuse. 3. You come up with another alternative, a third way. For example: a toddler is throwing a tantrum because he wants ice cream. Your choice is a) give the child the ice cream, b) give the child nothing, or c) offer the child something else. Beyond that, what is there to be done? You can’t really control what other people think, say, and do. The main thing you can do is just work on yourself to become a calmer, saner person. The calmer and saner you are, the less you will even want to control the hearts and minds of others. Ultimately it is quite childish to believe that others should think, say, or do what you feel is right. It is also a tremendous waste of energy. Just work on yourself. Let go of trying to control anyone else.